Philip Pearlstein was born in Pittsburgh, PA in 1924. He received a BFA from Carnegie Institute of Technology in 1949 and an MA from NYU's Institute of Fine Arts in 1955. The same year he had his first solo show at Tanager Gallery. Throughout his career, he has held posts as teacher and critic at various institutions, including Pratt Institute, Yale University, and Brooklyn College. From 2003 - 2006, Pearlstein served as the President of the American Academy of Arts and Letters. He lives and works in New York city. 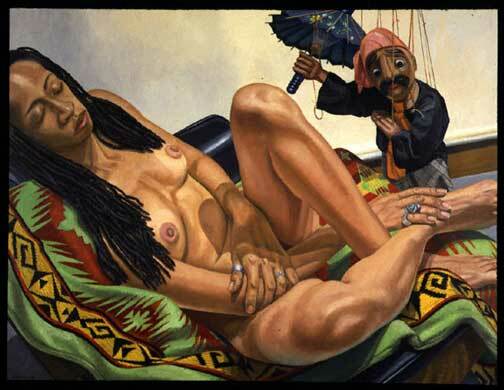 © Philip Pearlstein. Courtesy of Robert Miller Gallery, New York.